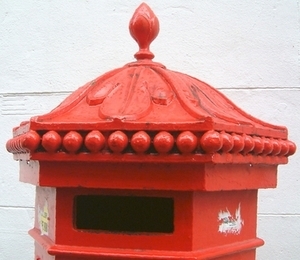 A postbox in Newcastle's Chinatown. by John W. Penfold (1828-1909) and first introduced in 1866. Picture: mafleen (2005, CC BY-NC-SA 2.0). Please let us know if you have any comments, suggestions or queries about The Talk of the Toon. You can email us at decte@ncl.ac.uk or simply fill in the form below and click 'Send'. What year was the hexagonal Penfold postbox design first introduced?